The MUSICBOOK: DSD digital sources offered resampling of all source data in DSD (1-bit conversion), making it the company’s most successful product so far. 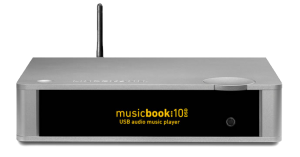 LINDEMANN breaks new grounds: The smart MUSICBOOK series shifts the company’s focus tonetwork audio. The circuit design principle of the “single ended push-pull” amplifier was being employed for the first time ever in the 885 INTEGRATED POWER AMPLIFIER. The company’s first approach to computer audio: The USB-DDC was the first LINDEMANN device that enabled a PC, music server or web client to be connected to a hi-fi system. With the launch of the 820 SACD PLAYER LINDEMANN toppled even their own D680 and confirmed once again their position as a world-class manufacturer of digital components. LINDEMANN was a front-runner with the new audiophile medium, the SUPER AUDIO CD. Thanks to its partnership with SONY, the company was able to launch the very first German SACD player D680. The proprietary upsampling technology (HiDRA®) used in the CD1 SE and later in the D680, delivered a clear step forward in the quality of the CD platform – an achievement that was to gain the company international recognition. LINDEMANN was one of world’s first manufacturers to introduce a CD player incorporating upsampling technology: The exceptional CD1 – later to be refined in the SE version. 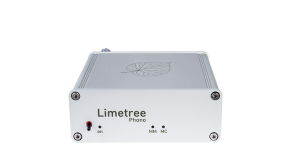 The first breakthrough came with a group test published by AUDIO, when the AMP4 became the first integrated amplifier ever to be awarded 100 points.